A popular and economical liquid glue! 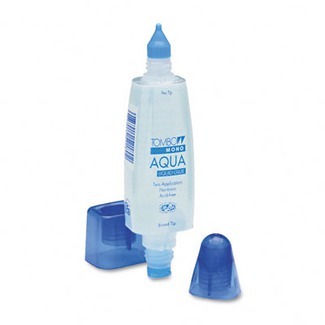 Ergonomic double ended applicator lays down a smooth and even layer of adhesive for a strong, permanent bond. Use the pen tip for precise application and the broad tip for large areas. The non-toxic, washable and acid-free adhesive goes on clear and dries clear. 1.69 oz. bottle.